The West Village constitutes the western portion of the Greenwich Village neighborhood of Lower Manhattan, New York City. The area is roughly bounded by the Hudson River on the west and Sixth Avenue on the east, extending from West 14th Street south to West Houston Street. The West Village looks like a European small town in the middle of the nation’s biggest city. 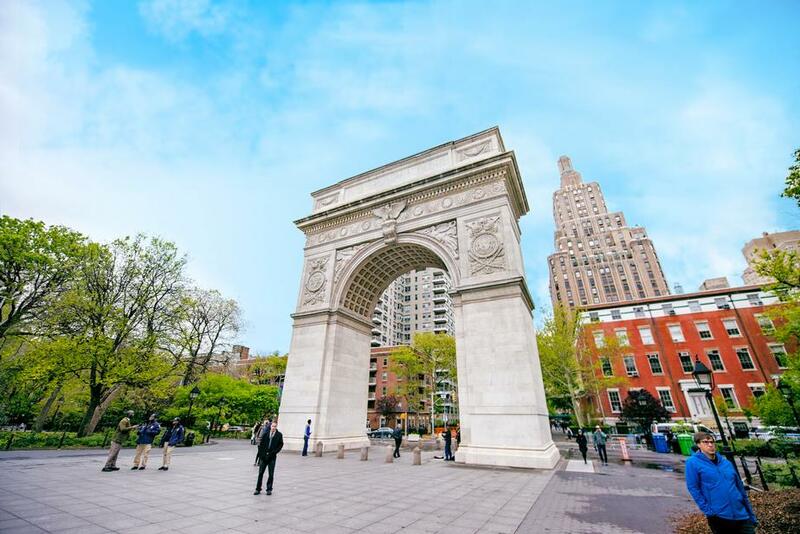 Don’t be fooled by this neighborhood’s quaint storefronts and their equally adorable names—the West Village is a fast-paced place. This is the place to come for unusual finds as well as global-brand goods. The West Village section of Bleecker Street is a particularly good place to indulge all sorts of shopping appetites. 1 to Christopher St–Sheridan Sq. Cherry Lane Theater – Catch a show at the Greenwich Village landmark, Cherry Lane is New York’s longest-continuously-operating Off Broadway theater. On occasion, children's theater companies rent its space. The LGBT Center - Located in the former site of the Food and Maritime Trades High School, this center for the LGBT community was established in 1983 and is now the second-largest center of its kind worldwide. It hosts meetings and events for more than 300 groups and receives more than 6,000 visitors weekly. Annisa - The understated jewel box is as sparely appointed as a Japanese rock garden—with a brittle branch in one corner and a few tropical fronds in another. The compositions, often inspired by the chef’s own eating adventures (in 2009 she was crisscrossing the globe), are so intensely personal; they seem to exist in a vacuum. The chef’s Sino-French spin on soup dumplings, with molten foie gras in the center and seared foie on top, are too dazzling to retire. Hudson Rover Park (Pier 46) - This section of the Hudson River Park features an area of synthetic grass where youngsters can frolic. The pier also allows fishing, and is an especially lucky spot to snag a scaly swimmer—the plies at the Western end encourage fish habitats. The West Village of the popular imagination came to life at the White Horse Tavern. At its peak it served famous Beats Allen Ginsberg, Jack Kerouac and Frank O'Hara and was the site of Dylan Thomas' last drink(s). With such a heavy history, the tavern is a must-visit—plus its selection of beer and hard liquor is as old-fashioned as they come.